A Pennsylvania family's rescue from the snowy North Rim of the Grand Canyon last month serves as an important reminder: The North Rim is a great place to visit — just not in winter. As The Arizona Republic reported, in mid-December, the Klein family attempted to reach the North Rim after visiting Southern Utah. Authorities said that with the main road into Grand Canyon National Park (State Route 67, otherwise known as the North Rim Parkway) closed for the winter, the Kleins' GPS device directed them to a U.S. Forest Service road into the park. There, their rental car got stuck in the snow, and Karen Klein set out with food and water to look for help, leaving her husband and their 10-year-old son behind. The husband eventually found a spot with cellphone coverage and was able to call for help, and a Bureau of Land Management ranger found him and the child the day after they were stranded. But it wasn't until midnight the following day that rescuers found Karen Klein, who had holed up in a Grand Canyon National Park building, authorities said. Klein's husband and son were treated for frostbite, while Klein, who had walked 26 miles from where the car broke down, was suffering from exposure but was conscious and communicative. 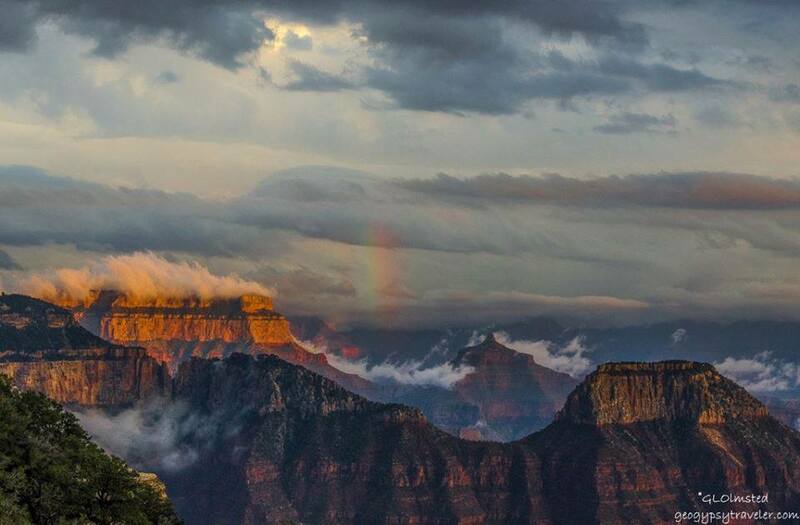 According to the national park, the North Rim receives an average of nearly 12 feet of snow annually. That's the main reason the north side is closed to vehicle traffic between mid-October and mid-May. Though the Klein family got out alive, others on the North Rim and in other alpine locations in Arizona haven't been so lucky. Make sure to check weather conditions and abide by posted signs. And unless you have a four-wheel-drive vehicle and really know what you're doing, stay on paved, plowed roads when it's snowing.